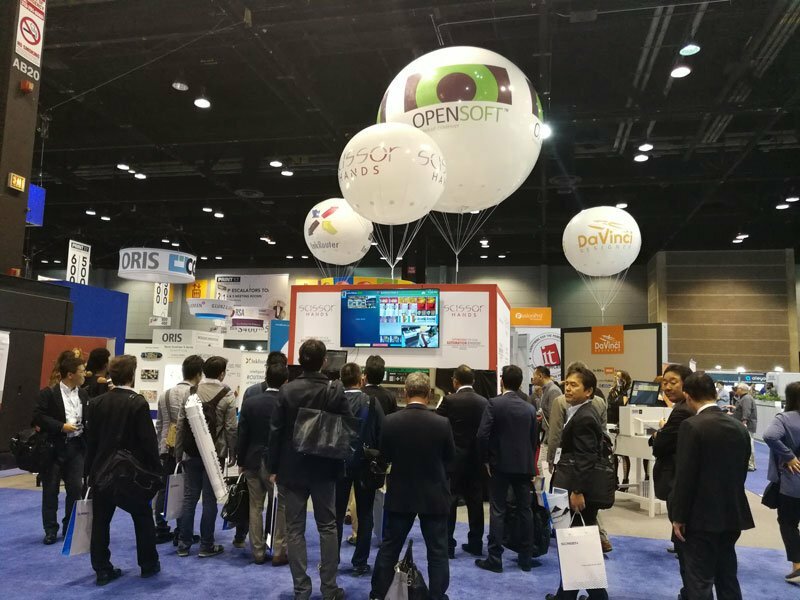 LAS VEGAS, NV – The innovative capabilities of cutting automation solution Scissor Hands, a product of Opensoft Inc., caught the eyes and ears of production managers, print shop owners and fulfillment centers from around the world at this year’s Print 17. Held Sept. 10-14 at McCormick Place in Chicago, the event is the largest display of live running print equipment in the Americas. The 2015 Must See ‘Ems Award Winner garnered attention from the likes of Konica Minolta, Ricoh, Xerox and SCREEN Graphics Solutions Co., Ltd. Its advanced technology adds intuitive features that expand the functionality and increase efficiency of outdated motorized cutting equipment. The cloud-based cutting automation software augments existing guillotine, die cut and laser cutters by adding proprietary artificial intelligence. Scissor Hands delivers smarter cut programs that reduce cutting times by up to 60 percent. Guided animations displayed on a mounted touchscreen provide step-by-step instructions for cutter operators that reduce errors and overall training time. Most impressive among attendees was the software’s ability to streamline the entire cutting process among several machines. Scissor Hands can dissect a large run into multiple pieces that can be fed to smaller cutting machines for final trims, allowing multiple cutters to work in tandem. Other popular features that enhance the performance of legacy print cutters were Scissor Hands’ capability to expedite the output of a single item on a run; mark blade blemishes to be omitted from the final trimming; image detection of orientation for proper finishing and packing; individual activity logs and camera recordings; best-fit packaging recommendations and instant shipment processing; and adjusting the cutter orientation for right-handed, left-handed and center cut options. Scissor Hands can integrate with Polar-Mohr, Itoh, Triumph (MBM) and other industry leading guillotine, die cut and laser cutters.